and he has made giving back a priority to his customers at Performance Auto Worx. “It’s the start of a new life for us. I decided to give back with free inspections and rates that are so cheap,” Beaulieu said. After an accident that broke his back, Beaulieu has fought his way to back to doing mechanic work. He wants to do more than just fix cars however. He is looking at sponsoring baseball and soccer teams and being a contributing member of the community. “We will explain (the work) to you. We don’t just look at you like dollars and cents,” he said of his customers. When someone brings their car to Performance Auto Worx, Jamie or his mechanic, work on the car and bill based on the computer time it should take to complete a project plus the low hourly wage that beats most if not all the competitors at $45 an hour. “We’re staying busy, especially with a lot of garages closing in Portland,” said Beaulieu. The shop opened in April and Jamie has been slowing seeing an uptick in his business. “It’s a passion. It’s a new challenge every day,” he said of the work. 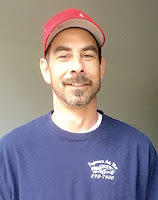 He gets to know his customers and is willing to work with them to make sure they are driving safe, reliable cars. “When you almost lose your life, you look at things differently. I want you to feel comfortable with me that I’m not going to rip you off. We care about everybody. I’m glad to be here and have a purpose in life,” he added. Performance Auto Worx does all types of mechanic work including performance work for fuel economy and increased performance, transmissions, $20 oil changes, body work and everything in between. They might not do all the work themselves opting to sub contract some of the work that needs to be done and still only charging the Performance Auto Worx hourly rate. Their specialty is suspensions, rust repair and ultimately, customer service. Jamie even offers to take photos of before and after work if preferred, to ensure you know the job is being done right and as promised. Too often garages say they do something and results down the road prove they didn’t. He wants his customers to have faith in him that he will always do exactly what he says and what you are paying for. Beaulieu is working on purchasing a Mandrel bender for doing custom exhaust systems, which in the long run will save the customers money. “They will last two times longer and will be two times as cheap,” he said. He is hoping to expand the business in the near future, bring on more mechanics and increase the work load. He has 25 years of mechanic experience and considers himself a journeyman. He expects that every car that leaves his shop will be in great working condition. He refuses to fix something “just for now,” he said. 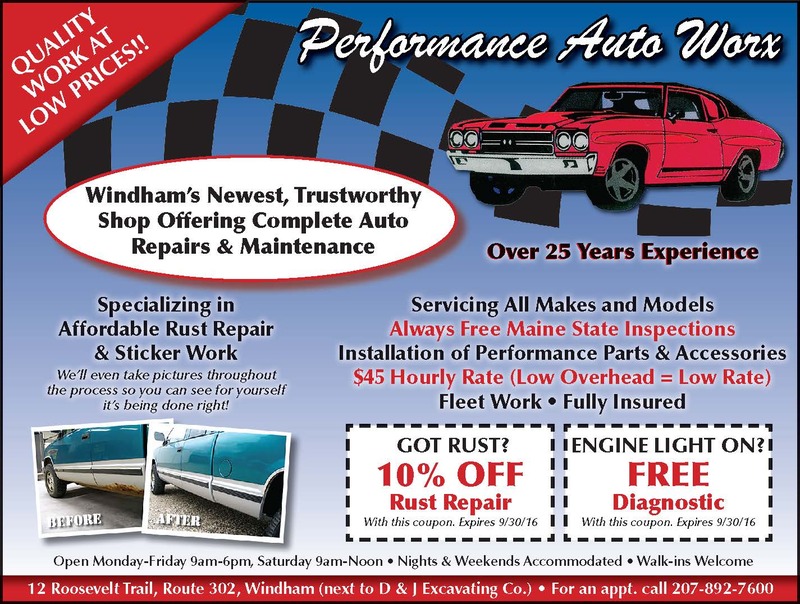 Performance Auto Worx is located on Route 302 on the Windham/Westbrook line at 12 Roosevelt Trail. “Anybody that wants quality work at an honest, reasonable price, Performance Auto Worx is for you,” Beaulieu said.